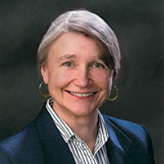 A native of New England, Abigail R. Kimbell has served as the 16th (and first female) chief of the US Forest Service from February 5, 2007 until 2009. Kimbell received a bachelor’s degree in forest management from the University of Vermont in 1974. She later earned a master’s in forest engineering from Oregon State University. She began her federal career in Oregon with the Bureau of Land Management in 1974 and joined the Forest Service as a pre-sale forester in Alaska three years later. She then worked in Oregon as a logging engineer and a district planner. Kimbell served as a district ranger on the Colville National Forest (Kettle Falls, Washington) from 1985-1988 and on the Wallowa-Whitman National Forest (La Grande, Oregon) from 1988-1991. She was forest supervisor of the Tongass National Forest in Alaska from 1992-1997 and the Bighorn National Forest in Wyoming from 1997-1999. From 1999-2002, Kimbell was forest supervisor for the Pike and San Isabel National Forests and Comanche National Grassland (all in Colorado) as well as the Cimarron National Grassland in Kansas. 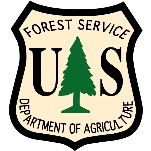 In 2002, Kimbell moved to USFS headquarters to begin her post as the associate deputy chief for the National Forest System. Under her tenure, Kimbell played a role in the Healthy Forests Restoration Act of 2003, which was widely criticized by environmentalists as a give away to the timber industry. In 2003 Kimbell became the regional forester for the Northern Region (Montana). To her numerous critics, Kimbell is known as a pro-timber placement and the person responsible for the largest reprisal action ever taken against agency whistleblowers. Under her watch as forest supervisor at the Bighorn National Forest in Wyoming, nearly half the agency’s staff was forced out during a standoff over concerns raised about USFS mismanagement, including violation of environmental laws. The controversy, which began in 1992 with Kimbell’s predecessor, included allegations of illegal timber sales and sweetheart concessions to favored timber companies; failure to meet reforestation commitments to restore habitat; and violation of wilderness protections and road construction through Native American sacred sites. In 1994, eight Bighorn employees wrote a letter to their regional forester in which they claimed that Kimbell’s predecessor had created a hostile work environment and was mismanaging the forest. When Kimbell took office in 1997, she authored an agency reorganization that purged most of the original whistleblowers who had not yet been forced out by harassment or intimidation—in total, 30 of 44 employees who had raised concerns about mismanagement were purged from their jobs. Kimbell attributed the reorganization to necessary budgetary constraints, but in the end, the bureaucratic labor force at Bighorn increased from 74 to 108 employees between 1997 (when she took office) and 2003—and was marked by a trend of replacing environmental experts with office workers. The Government Accountability Project (GAP) represented eight of the fired employees in a Whistleblower Protection Act lawsuit, and in 2003, after a prolonged investigation, the US Office of Special Counsel (OSC) announced that the act had been violated. The agency agreed to corrective action, including a $200,000 payment for damages, divided among the eight claimants and charges brought against the employees by Kimbell were dropped.